Last week, I had the privilege of volunteering at the ELCA Youth Gathering in Houston. The Youth Gathering is put on by the Evangelical Lutheran Church in America once every three years, where congregations from across the country send 30,000 young people to a chosen city for worship, service and fun. It’s a place where young people can find themselves spiritually through doing service work around the community and hear from inspiring speakers at the nightly Mass Gathering. The main motto of the Gathering was “This Changes Everything”, meaning that coming to Houston could change hundreds of young people’s lives, and put them down a positive path in life. Seeing young people engage with each other and the video content we were providing was special. My main responsibility on the Community Life team was to help operate the “Carpool Karaoke” area. 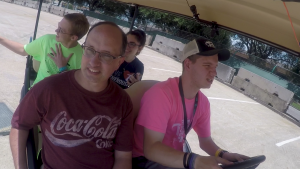 Much like the popular segment of The Late Late Show with James Corden, we took groups around the Gathering grounds in carts, filmed them using GoPros while they sang their favorite songs. Driving around the kids, I saw that that they were engaged, having fun and connecting with each other in a different way than the other parts of the Gathering. Lots of groups would come back from a day-long service trip and unwind with Carpool Karaoke. The environment provided a stress-free place for young people to connect with their peers. When I had the chance to get away from the karaoke area, I went around to film some b-roll and noticed a similar trend. Of course there will always be kids that are glued to their phones, but a lot of what I saw in the Community Life Center was interacting face-to-face, either one-on-one or on teams. In such a digital age, it was refreshing to see young people connect as a community — whether it was playing games, doing karaoke, or rocking out together with one of the musical acts. They would have these experiences, post about them, and maybe tag a new friend or two. The Youth Gathering’s motto is “This Changes Everything”. That motto fit what I saw in Houston as I watched young people making new friends, making connections, and changing lives. Knowing that I was making a difference through “Carpool Karaoke” made it feel right that I was there. Engaging young people in enriching activities is something many of us struggle to accomplish, from large corporations all the way down to families. Online communities are built to bring people interacting with a product or cause together, but seeing it happen in real life is so much more powerful. 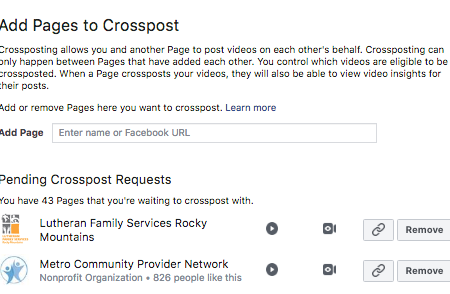 While the internet has to thread the needle to get people right people talking about the right topics, there is no stronger or easier connection than the one we form when we’re together face-to-face as human beings. The ELCA Youth Gathering harbors community so naturally that thousands of strangers can become friends almost instantly. Finding that balance between human and digital connection is something that all companies are searching for. Hopefully we can learn a little bit from the ELCA Youth Gathering on why that balance is so important.